Ropinirole hydrochloride Selegiline hydrochloride Trihexyphenidyl hydrochloride General Statement: Parkinson's disease is a progressive disorder of the nervous system, affecting mostly people over the age of 50. Parkinson-ism is a frequent side effect of certain antipsychotic drugs, including pro-chlorperazine, chlorpromazine, and reserpine. Drug-induced symptoms usually disappear when the responsible agent is discontinued. The cause of Parkinson's disease is unknown; however, it is associated with a depletion of the neurotransmit-ter dopamine in the nervous system. Administration of levodopa—the precursor of dopamine—relieves symptoms in 75%-80% of the clients. Anticholinergic agents also have a beneficial effect by reducing tremors and rigidity and improving mobility, muscular coordination, and motor performance. They are often administered together with levodopa. Certain antihistamines, notably diphenhy-dramine (Benadryl), are also useful in the treatment of parkinsonism. 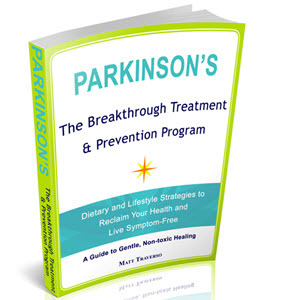 Clients suffering from Parkinson's disease need emotional support and encouragement because the debilitating nature of the disorder often causes depression. Comprehensive treatment also includes physical therapy.